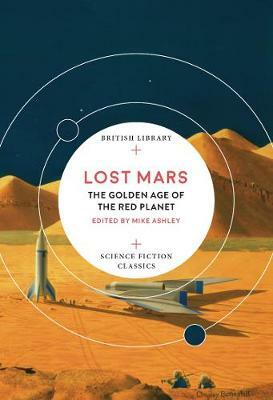 To celebrate the launch of the new British Library Science Fiction Classics this month's Sci-Fi Session will be a special panel event discussing science fiction of the Golden Age. 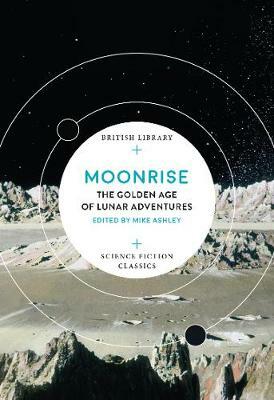 Science Fiction historian and esteemed editor Mike Ashley has edited the first two books in this new series, Moonrise: The Golden Age of Lunar Adventure, and Lost Mars: The Golden Age of the Red Planet, anthologies of classic tales from H.G. Wells, Ray Bradbury, Judith Merril, Arthur C. Clarke, and more. Pat Cadigan has been writing science fiction for more than thirty years, commonly regarded as the Queen of Cyberpunk, author of classics such as Synnersand Fools, she has won two Arthur C. Clarke Awards and the Hugo Award for Best Novelette. Roger Luckhurst is professor of Modern and Contemporary Literature at Birkbeck, University of London. His academic publications include Science Fiction, The Mummy's Curse, and Zombies: A Cultural History. Most recently he has edited Science Fiction: A Literary Historyfor the British Library. This esteemed panel of experts, chaired by Gower Street's Glyn Morgan, will discuss what exactly we mean by Golden Age science fiction, share their favourite works, and discuss the relevance of the Golden Age to today's science fiction readers and authors. ALL TICKETS INCLUDE A COMPLIMENTARY GLASS OF WINE OR SOFT DRINK. BUY ONLINE, IN STORE OR BY PHONING 020 7636 1577.